I don’t claim to be a political expert or historian, but those who say that there has never been anything like this campaign in modern times. I do seem to remember reading that Stephen Douglas made fun of Abraham Lincoln’s gangly frame as he mocked his looks. Of course, all Presidential races have had their share of cheap shots and unkind remarks However, this race must be setting a record of personal attacks. coarse language and insulting innuendoes. There is nothing you and I, as Christians, can do about the ugly discourse in politics or in the world around us. But we can do something about our lives. Our language. Our relationships with others. 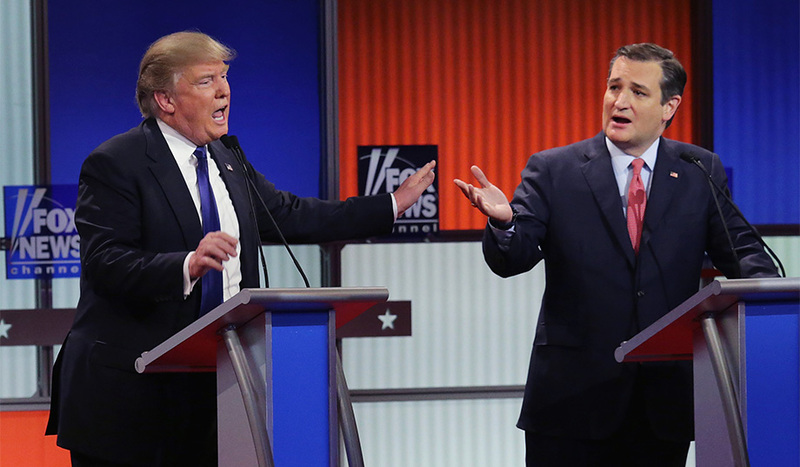 Being crude, coarse and crass is not limited to the Republican Presidential debates. If often describes our culture today. Vulgarities are spewed forth in the sports, entertainment and business world. It is evidenced in the way young people talk to one another. The coarsening of our culture is often been the subject of concern by secular writers the past several years. While it may be that society in general has degenerated to an acceptance of boorish behavior, foul language, and off-color insinuations, these carnal attitudes should not characterize Christians. The Bible condemns “coarse jesting,” “foolish talk,” and “filthy language” which is deemed to “out-of-place,” and “improper for God’s holy people” (Eph 5:1-4). Interestingly, two verses down we are warned “let no one deceive you with empty words” But that’s a post for another time! I can’t change the national discourse and the way politicans choose to react to one another and hurl ugly retorts. But I can choose to “be clothed with kindness” (Col. 3:12) in the way I speak to my wife, my children, my friends and my brethren. I must give diligence not to be influenced by the vulgarity of the world, but to imbibe the fruit of the Holy Spirit by exhibiting kindness, along with love, joy, peace, goodness, gentleness, faithfulness and self-control in my life. I have witnessed brethren who react with vitriolic language to another brother and violate the command to “be kind to one another”(Eph. 4:32). Our guiding value should be “brotherly kindness” (2 Pet. 1:7). Husbands and wives need to show each other kindness, courtesy and respect. The “love chapter,” 1 Corinthians 13, says “Love has good manners.” Our children follow our lead. Their respect or lack of it will often be a reflection of the degree of our civility in the home. The second great commandment teaches “love your neighbor.” The golden rule states that we need to treat others the way we want to be treated. Our social relationships need to be expressed with politeness. In a climate today that is characterized by crudeness, punctuated with profanity, and demonstrated with an overall lack of civility, let’s be Christian. Be different. “Be not conformed to this world.” Be cultured. Kind. And civil. That was a great article! I would only add to all Christians: Remember that you represent Jesus Christ in every area of your life, and that includes social media (Facebook, Instagram, Snapchat). Too many Christians post ugly and hateful comments about political candidates or repost things that contain vulgar language. In all things let us imitate Christ. We live in a “media” world but we can still be the light. So, true Tami. Maybe time to write another post on facebook etiqtuite. Salt, light, leaven=INFLUENCE! 7 days a week 12 months a year….Matt7:12. So simple a concept and yet so difficult for even God’s children to live and exhibit each day. Thanks again brother for the thought provoking messages this week. Preach on! OH, KEN, U CHOSE A PROFESSION THAT AGING DOES NOT INTERRUPT! Great article with such important lessons. Much better than just writing about Trump not being worthy of being elected President. So well said Ken. I think these grown men ought to be ashamed for how they are acting. yes,we can comment on the modest apparel that Mrs. Donald Trump has shown on T.V. It is good to see this family grow in Christian values.